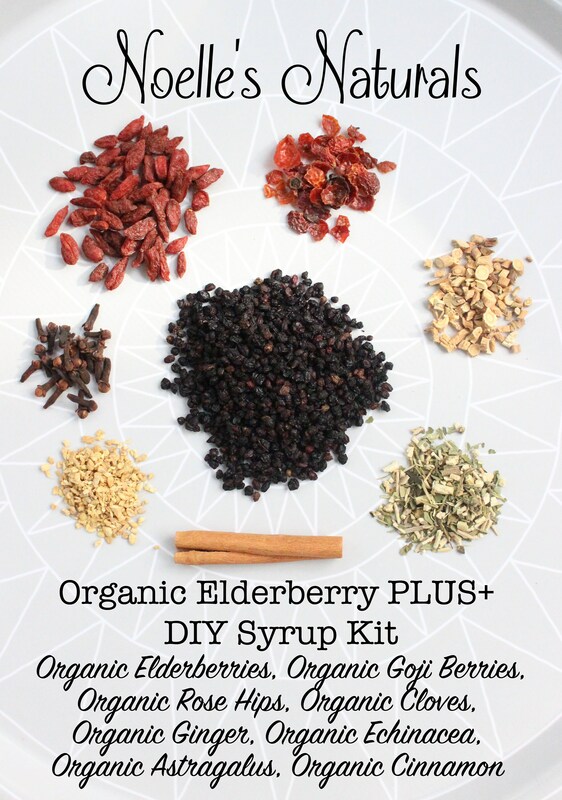 Making elderberry syrup at home is easy with our DIY kit. Our Plus+ kit includes the added benefits of Goji Berry, Echinacea, Astragalus, and Rose Hips. 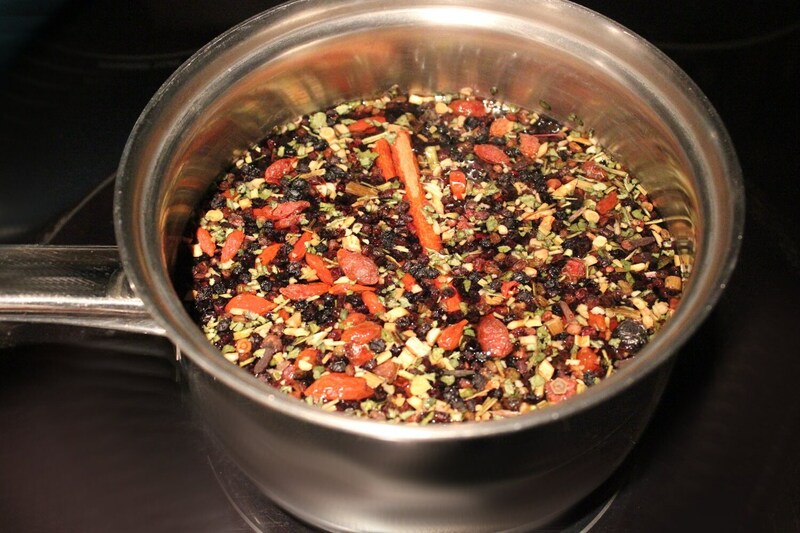 Each ingredient is pre-measured for your convenience, just pour the contents of the bag into a pot of water, stew, strain, and add your own honey. Full instructions come with each bag. 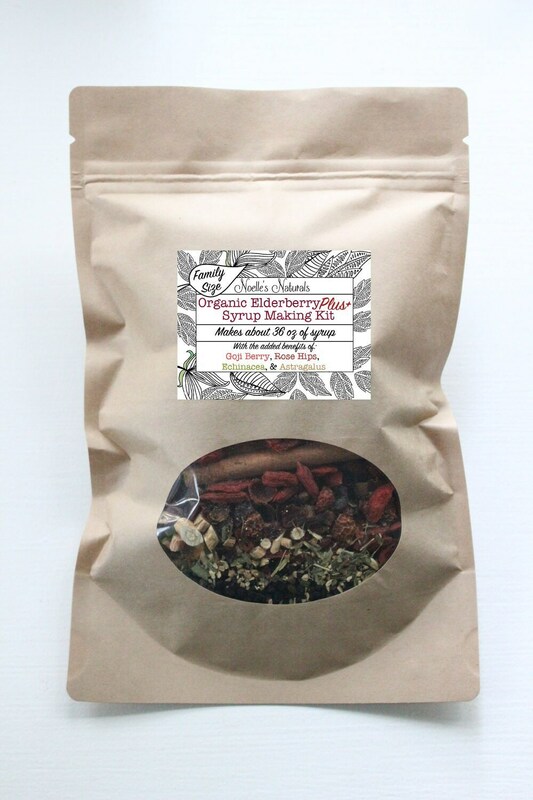 This large bag includes enough to make 36 oz of syrup when you add your own honey.